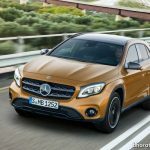 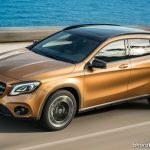 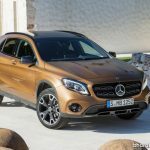 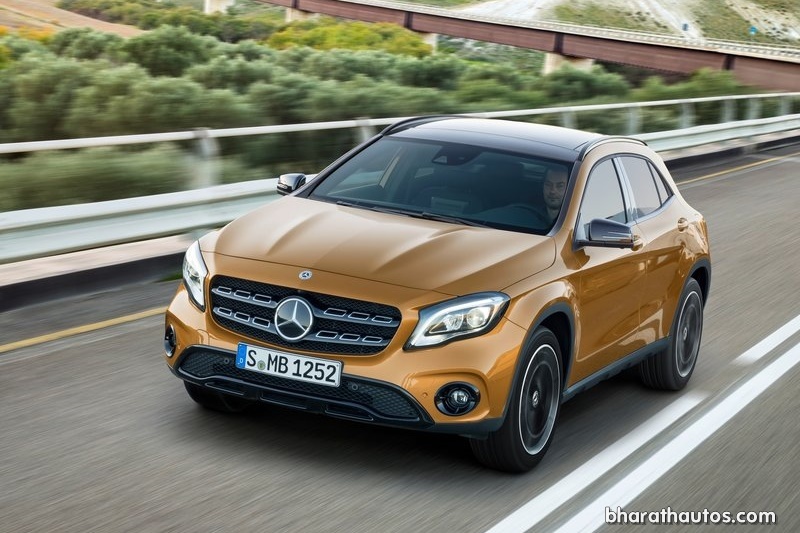 The latest Mercedes-Benz GLA facelift has reached India. 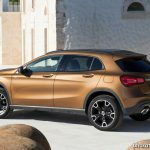 The 2018 GLA, unveiled at Detroit Auto Show in January, sports a mildly altered face and has added some equipment to it. 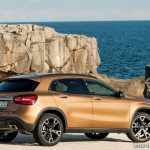 The GLA has been around largely unchanged since 2013, and this facelift retains the familiar looks save for a new radiator grille, front bumper treatment. 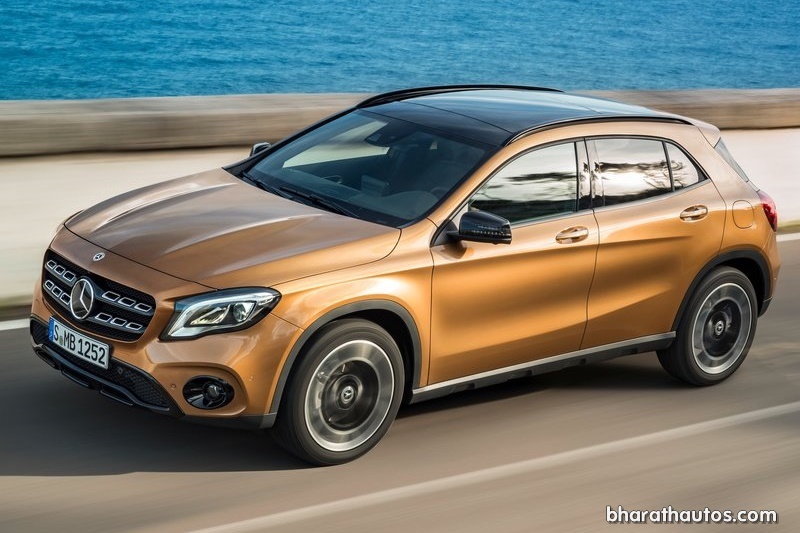 The most obvious new bits are those full LED units with DRLs that replace the outgoing model’s bi-xenon headlamps. 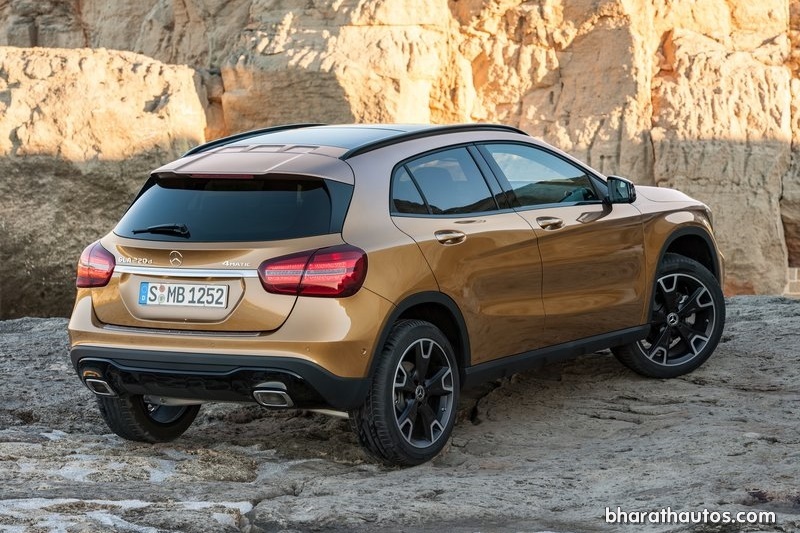 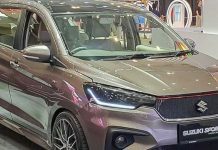 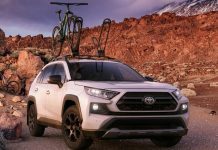 The side profile remains as before until you reach the SUV’s rear, where you can see a tweaked rear bumper and reworked detailing on the LED tail lamps. 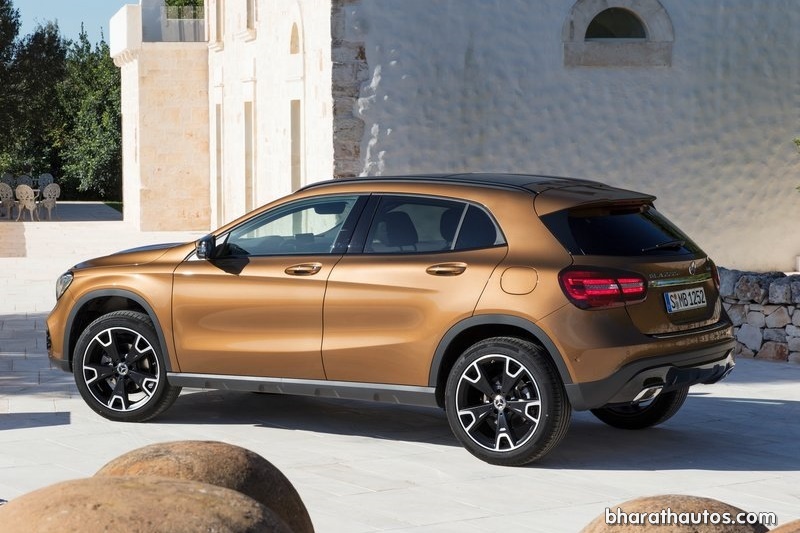 Inside, Merc lists a larger 8.0-inch infotainment system with connectivity for Android Auto and Apple CarPlay, also displays a reverse camera. 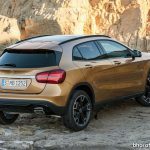 There is also an ambient lighting in 12 different colours with 5 dimming levels and door sill panels in brushed stainless steel with the illuminated Mercedes-Benz’ lettering. 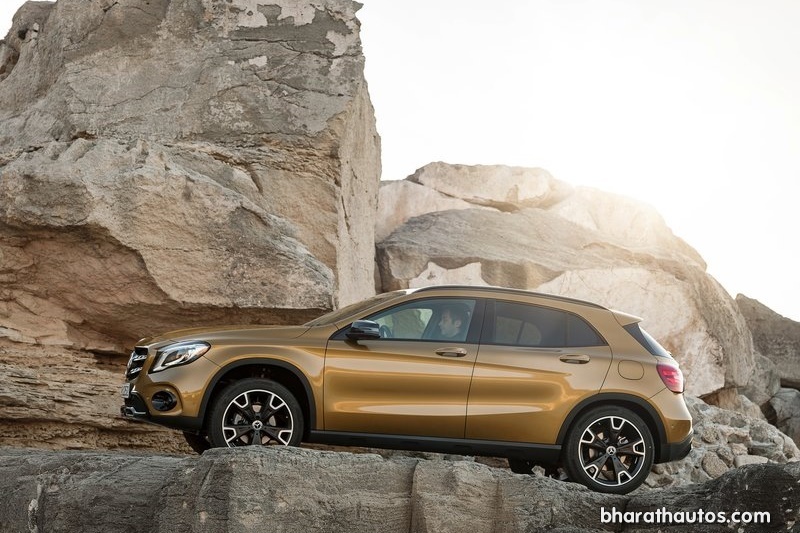 On the safety front, the GLA facelift is equipped with 6 airbags, ABS, EBD, ESP, traction control and driver attention assist. 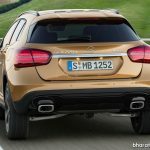 Powertrains (diesel and petrol) remain the same as before, the 2.1-litre 4-cyl turbocharged diesel engine is available in two states of tune – 134 BHP and 300 Nm in the 200d and 168 BHP and 350 Nm in the 220d. 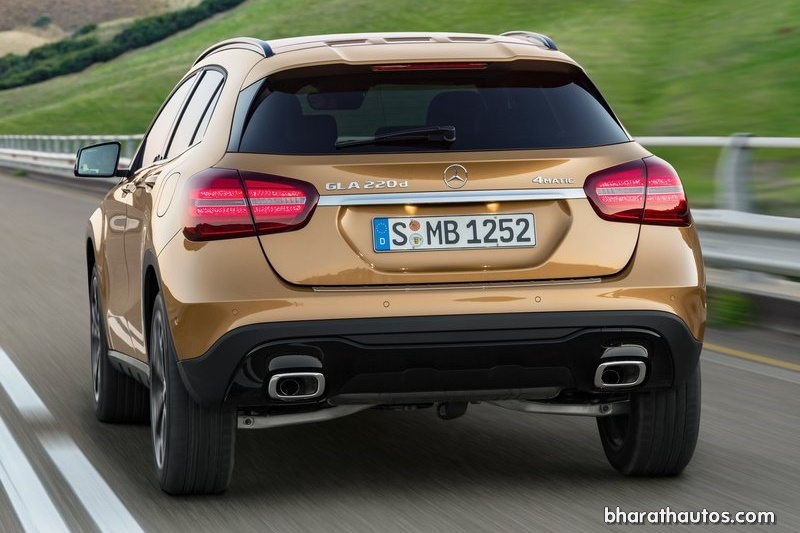 The 2.0-litre 4-cyl turbo petrol motor is available in a single state of tune with 181 BHP and 300 Nm. 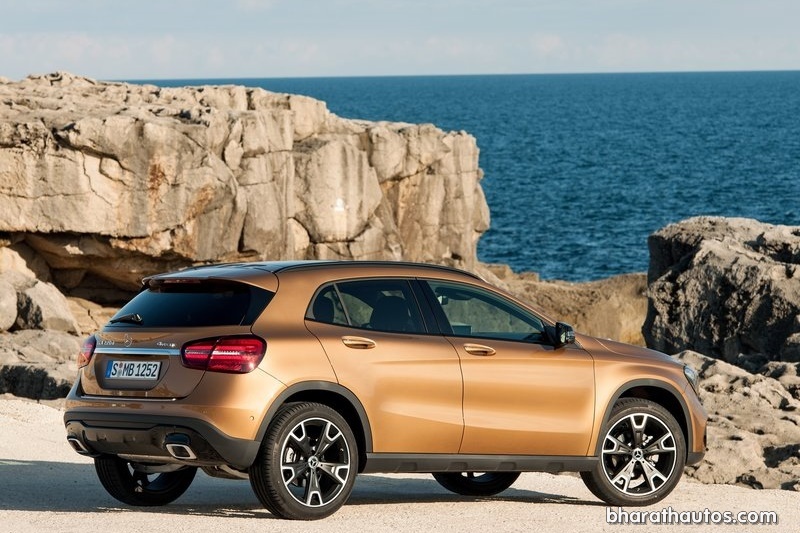 All engines come mated to a 7G-TRONIC transmission, while the 220d comes with an AWD system as standard. 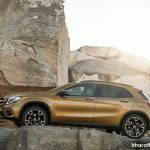 A total of 5 paint shades are on offer – Jupiter Red, Cirrus White, Mountain Grey, Polar Silver and a new shade of Canyon Beige. 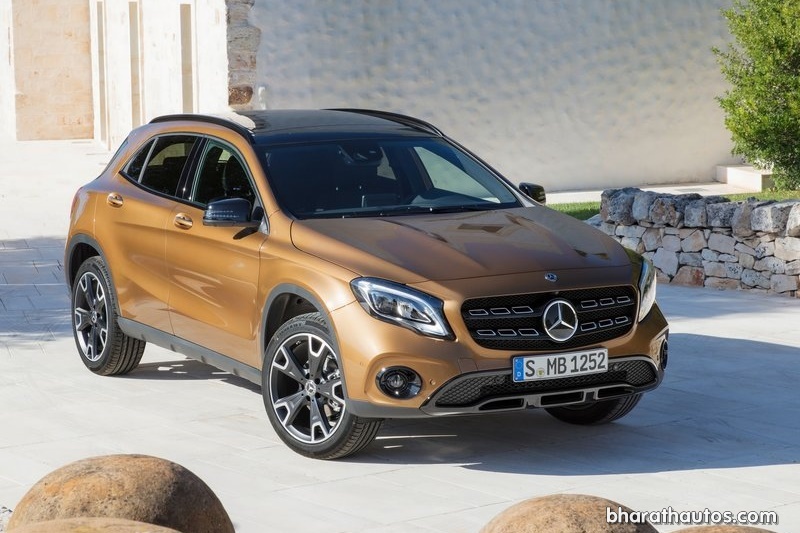 With the new 18-inch light alloys and the higher clearance, the stance of the GLA has improved and it has a far better SUV feel now. 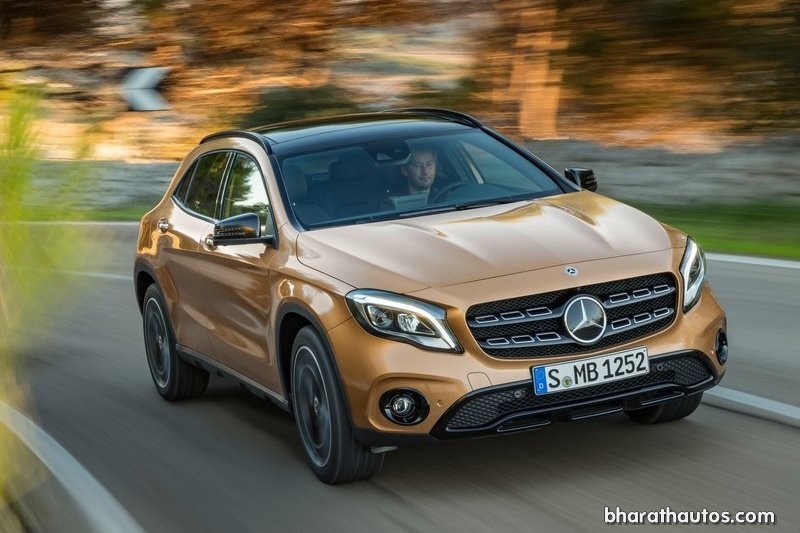 Assembled at the Mercedes-Benz plant in Chakan in Maharashtra, the 2017 GLA facelift competes head-on with the new BMW X1 and updated Audi Q3 in India.